PLEASE NOTE! This site is a *mirror* site for Josh’s main voice talent website – please click HERE to visit the main site now. ME > Hello there! Thanks for visiting my website. I’m Joshua Alexander, and I’m a Seattle-area Voiceover Artist / Voice Talent / Voice Actor. I have 20+ years experience in voiceovers, 30+ in acting, radio broadcasting, PSA’s, etc., and as an independent media production company owner, I’ve enjoyed over a decade in producing client videos and samples that reflect professionalism, which typically incorporate voiceover narration, reading and capturing the clients’ scripts. I am also capable of producing a wide variety of different voices and accents for any projects you may have. And I’ve had a lot of fun doing it! I’ve produced comical voicemail greetings for self, friends and family. I’ve recorded radio-ready broadcasts and been featured on air. 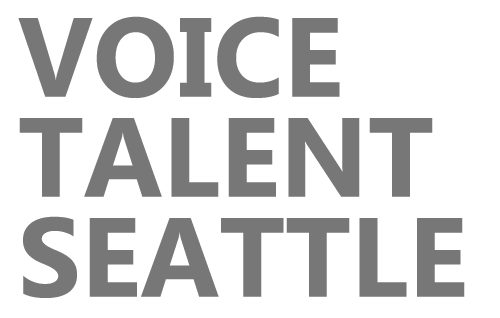 I’ve been a featured voiceover talent in Seattle (and abroad) independent broadcasts. I’ve got great artist reviews and enjoy a steady stream of voiceover work. I absolutely LOVE doing voiceovers and voice acting! I’m an actor. I’m a ham. (My lovely wife would agree with that statement.) So it’s a pretty natural fit. Voiceovers are such a great focus and endeavor – to be able to lend my voice to any kind of different project, and to step into the roles of different characters via audio: it’s such a rich privilege, I’m immensely grateful for each project I get to be a part of. STYLE > Vocal influences include Jason Hildebrandt, Stephen Russell, Mike Rowe, Peter Cullen, Sam Elliott, David Attenborough and more. THE GOODS > I’ve got plenty of high-end equipment to serve you, including a Neumann TLM102 Mic, Grace Design m101 Pre-amp, Boom, Pop Filter, LyxPro VRI-30 Sound-absorbing Vocal Recording Panel, AMD Threadripper 16-Core Tower, Adobe Audition, Reaper, Sony Vegas Pro 15, Behringer Eurorack UBB02 Mixer and more, all for quality voiceover or voice talent services to contribute to your project, and to breathe life into the words that you’ve taken the time to sculpt. ISDN, SourceConnect & Skype-Ready. Check out my Audio Samples and see what I’ve been able to produce! TURNAROUND TIME > I’ve got excellent voice talent turnaround time working from home. Depending on the word count, style, and project size, I can usually turn the project around in a day to a few days. My largest voiceover artist project ever was a project encompassing multiple characters, and a word count of around 163,000. I turned that around in under a week and a half before receiving the usual voice talent punch-ins. I got to do SERIOUS voice actor work on that one – about 50 different characters! EXPERIENCE > I own my own company and can produce any kind of digital audio & video sample. I’ve enjoyed over 25 years off and on in the voiceover artist, voice talent and jingle industry in Seattle and abroad, as well as creating narrations and voiceovers for business client projects both as an voice talent and a producer. Have an awesome day! I’m Joshua Alexander, and I approve this message.